Receive a free Trip Plan from our Trip advisor within 12 hours by e-mail or Call. We don't Bound Guest For book a Trip. Mr. Abhilash Shukla pass out of Awdhesh Pratap Singh University with an MBA tourism degree in 2006 and dedicated his Knowledge to promote Hidden Treasure Of India. 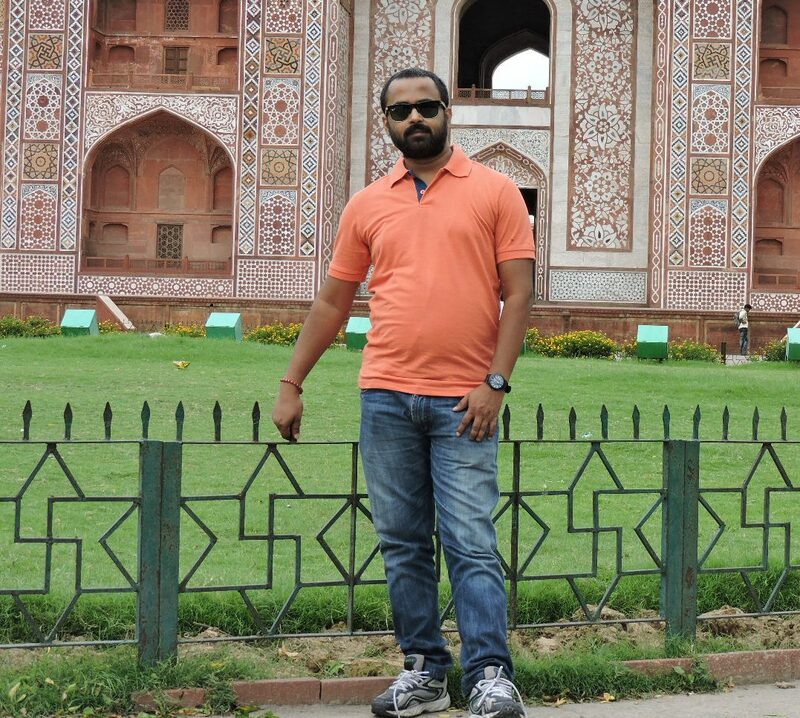 Mr. Shukla is a keen traveler and has been to different parts of India,Nepal, Bhutan and Sri Lanka. He has been with the company from the very beginning and his knowledge and experience about the top destinations of the region are valuable for the company to offer outstanding tour packages. Not Meeting Your Intrest or Looking Something Diffrent ? 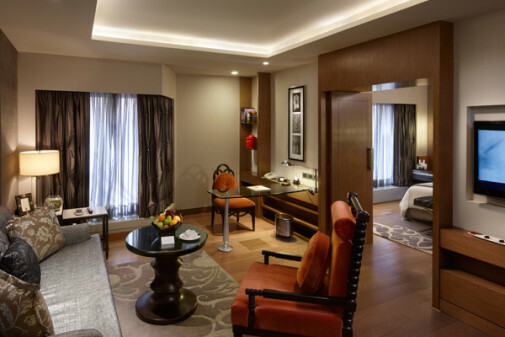 Best To Way To Explore India when you are planning your luxury Rajasthan tour and looking for royal palace hotel experience , then only option available which Taj Palaces and hotels in Rajasthan. 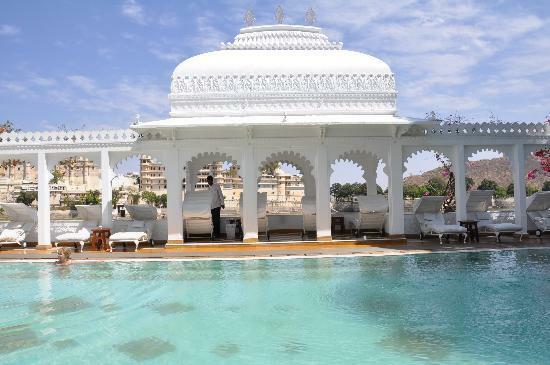 Taj Lake Palace consider one of the best Luxury Hotels in the world in heritage category and located in the middle of Lake Pchholla Udaipur, Next Palace hotels in Jaipur which is again luxury palace hotel in Pink City Of Rajasthan and award winning hotels. Ummaid Bhavan Palace In Jodhpur will be your lifetime stay experience and again you will enjoy the luxury amenities and spa etc. 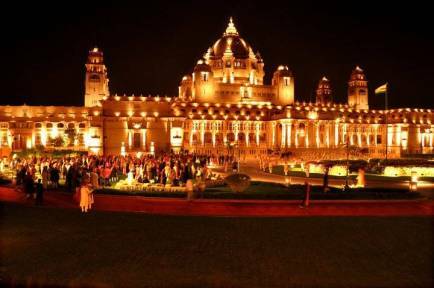 This Palace belong the his highness of Jodhpur and now its managed by Taj Hotels & Resorts as Grand Luxury Heritage hotels in the City. Anything which is not specify in the above. We welcome you at IGI Airport, our company representative will be holding the Placard of your name and eagerly waiting for you. After your meeting at Airport he will guide you till hotel Check-in and handover the all original document and introduce with driver and guide for next day program. 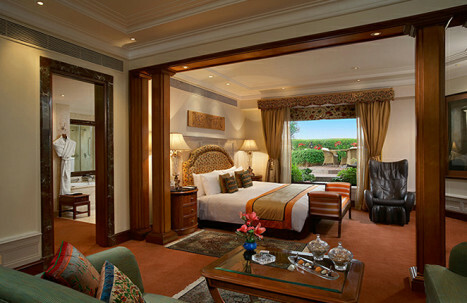 Overnight stay at Taj Mahal Palace hotel. After breakfast you will drive to Jodhpur, En route visit Beautiful Jain Temple which famous for unique sculpture and have your Lunch here and then continued drive to Jodhpur, On arrival at Umaid Bhawan Palace, do the check-in and rest of the day at leisure. 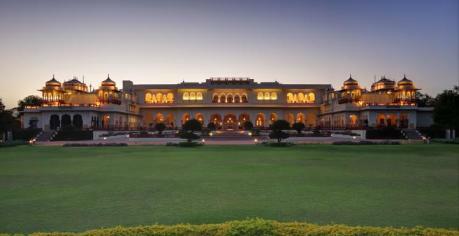 Umaid Bhawan palace one of the most luxury heritage palace hotel and will be life time experience. 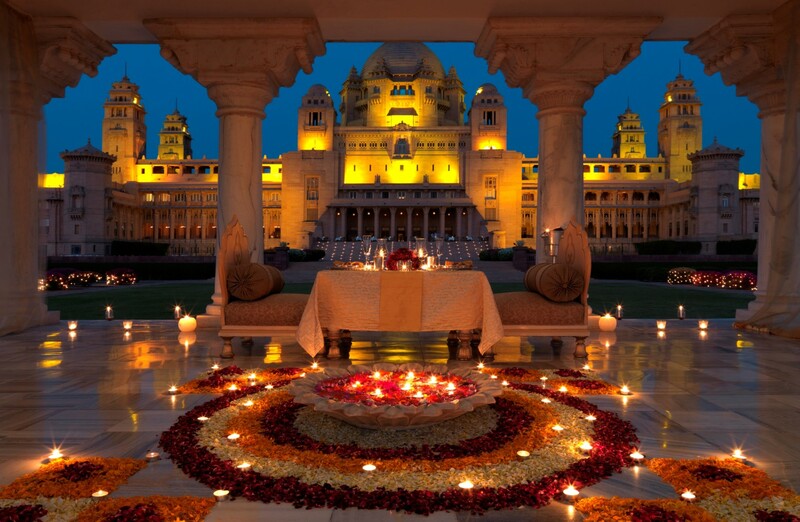 Overnight stay at Taj umaid Bhawan Palace. 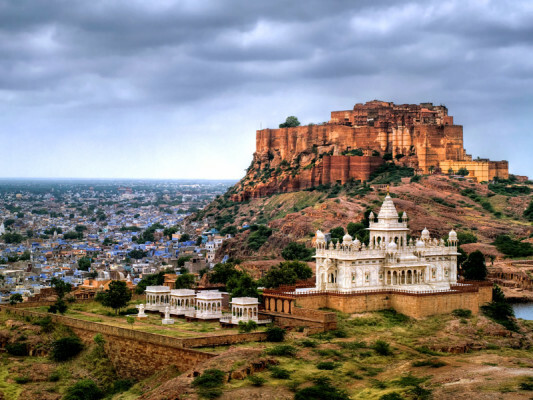 Your Tour guide will meet you at your Hotel Lobby and then you will do the guided tour of Jodhpur City, and today you will be visiting Jaswant Thada, Mehran Garh Fort and Clock Twoer Market. 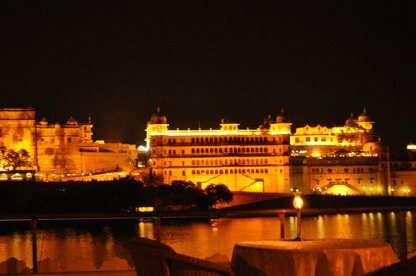 Evening enjoy the light and sound show at Mehrangarh Fort. 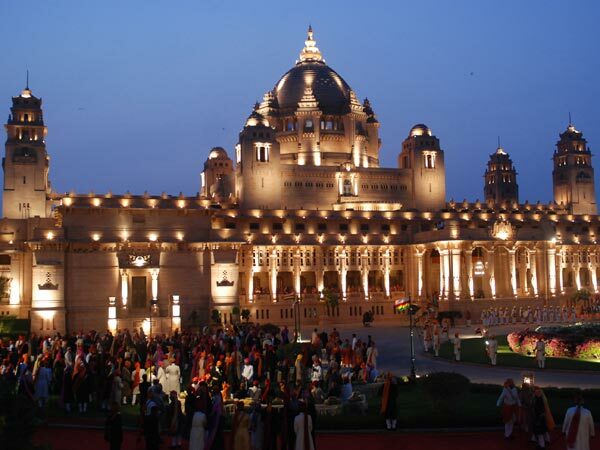 Overnight stay at Taj Umaid Bhawan Palace. 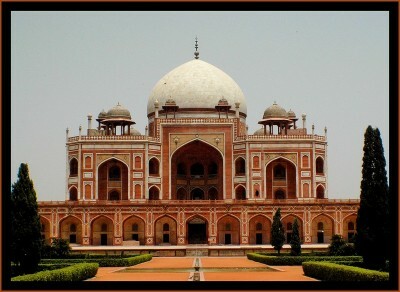 After having your breakfast , proceed to Agra- The City Of Joy , en-route visit Fatehpur Sikri see the Buland Darwaza etc. After visiting this place drive to Agra. On arrival at Agra Have your lunch and rest of the free at leisure. Overnight stay at ITC Mughal Hotel. 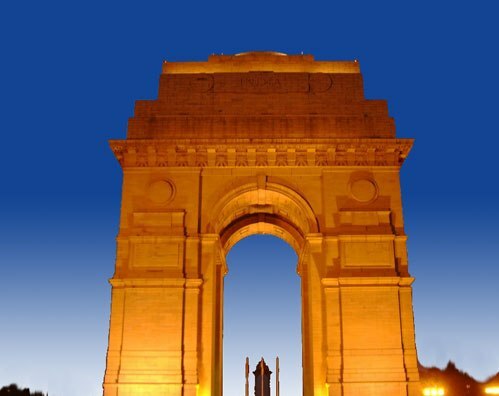 Wake-up at 5.30 am in the morning and our guide will meet you at your hotel Lobby to take you for Taj Mahal Visit at Sunrise. Visit Taj Mahal with guide and spend 2 hrs do the photography and return to your hotel, have your breakfast and then you will visit the Agra red Fort. Lunch break and then you will go to see the Itmad-ud-Daula ( Baby Taj) and from there you will do the photography of Taj mahal during sunset . Return to your hotel and free time for shopping. 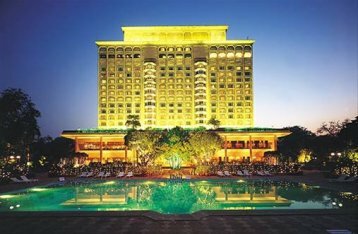 Overnight stay at ITC Mughal. After breakfast drive to delhi, en route visit Sikandra the Cremation site of The Akbar Great and then proceed to Delhi. On arrival do the check-in at your hotel. 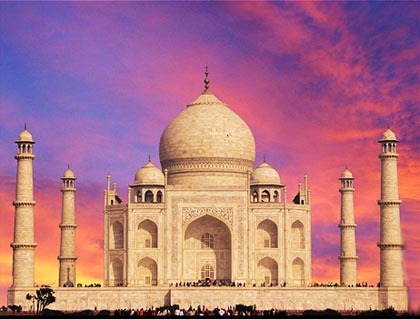 Evening visit The Kingdom Of Dreams (Entrance Tickets would be Extra) Overnight stay at Taj Mahal palace Hotel. After breakfast you will be provided the departure transfer to the Airport on your flight time and end the Indo Pacific Holidays Services.